Podcasting vs. Radio, what are the differences? - Is there an ideal length of a podcast? - “Myth” isn’t that shorter-length podcasts are more popular than long-form ones. - Is it true that shorter, is more appealing than longer to more people? - Appeal = potential usage, not simply historical and habitual usage. - Length topic distracts from deeper issue, which is quality. - While it’s true that any listener can stop listening whenever she wants, if you see a time-code for the show and it’s long, you may believe a little bit of listening is worse than none at all. - Some other research shows longer shows as an obstacle for new listeners. Really is a misinterpretation of the research data. The heart of your podcast distribution lies in one, perhaps unassuming, link: your RSS feed. By submitting your RSS feed link to the variety of podcast networks and podcatchers out there, like iTunes or Stitcher, you’ll be adding your podcast to some of the most popular app catalogs out there. That’s actually where a lot of listeners look for podcasts to browse through, sample and subscribe. 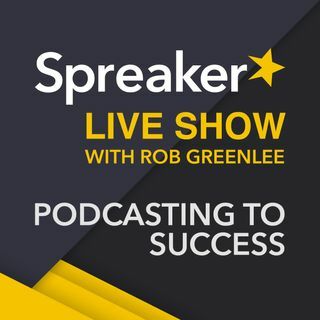 Spreaker provides an RSS feed link for every account, podcast, and episode you create, and to find out how to obtain and submit them to iTunes, Stitcher, Google Play Music (which heard podcast are moving to YouTube), TuneIn and more, take a look here. Once you’ve set things up, every time you publish something new on your spreaker podcast page, it will also get automatically published to those directories. Is there an event in the US with a similar one day program as PodSummit? Great thoughts and comments Daves. We will discuss deeply on the show tomorrow. At 21:20 Rob said "The most popular podcasts that get 100,000 or more downloads are typically 51 minutes in length on avg." I can agree that's true. I would have no idea if it wasn't true. My take on that is it's easier to do a successful 51 minute or longer show if you get 100,000 downloads. Your supply is meeting a demand. It would be an interesting experiment to see how popular those shows would continue to be if you ADDED, or SUBTRACTED a few minutes in length to them every episode. At what length in time would you see a dropoff, if you saw a drop off at all. Many many years back the Tonight show starring Johnny Carson was an hour and a half. It was a very popular show. Then they reduced it to an hour. Although I can't produce any ratings comparisons before or after, it remained a very popular show,and I bet it became easier to produce, and provide content. Although that's TV, it's relevant to this conversation. The one hour format has become the staple for a late night talk show format. It's also the length of many daytime talk shows as well. There are some talk shows that are less than an hour ( a half hour) but those shows are more talk, news and issue oriented as opposed to entertainment. The point being there are no rules. It comes down to being able to supply the demand...if there is a demand for it. As far as my show goes "Dumbing it Down with Dave" I've produced 69 shows of all various lengths. My first 21 episodes I did not care about length. I knew no one was listening and I took the opportunity to experiment to figure out what I was more comfortable and best at doing. At episode #22 I decided to try my best to stick to a 30 minute length to help me be more energetic and concise. I needed to get to "it". The "It" of Dumbing it Down With Dave. I had a good 4 month run between Nov.2016 to Feb.2017. My numbers shot up. Since March my numbers have been dropping. So now in the next phase of my show #70 and so on I need to find an answer. Is it my content? Length? Sound? Social media involvement? It's probably all four! I've also yet to expand my show to other podcast platforms. I'm only on Spreaker. Although there's plenty of help online,the tech part of podcasting I find scary,intimidating, and time consuming , especially when you have no idea what you're doing. In summation, we can talk about length all day, everyday. Length is just one small part of the puzzle of the successful podcast pie. Length, content, host, sound, and the combination of it all (like a perfect salad, soup or cocktail) is really what we need to be conscious of. Thanks for taking the time to read this letter. You guys are great (A and R), Spreaker and the wonderful world of podcasting. Alex, I know you don't like longer shows, but you need to deal with the fact that some people do. When Rob brought up the Rob Walch data that podcasts with over 100K downloads are at least 51 minutes, you STILL were like, "But nobody listens to the whole thing." Yet the Edison research shows they DO listen to the whole thing. I get that short shows are the ones YOU like, but that is your opinion, and you come across like your opinion is that of the podcast community (in my opinion) and you are the exception (not vice versa) according to the data. You talk about how radio will not change, and yet your opinion makes me question your ability to incorporate new information (or will you only allow information that you agree with) to shape your thoughts. Also, why would you create your show to be more like radio when the radio is (very, very slowly) dying. Rado is coming HERE. Podcasting is global, radio is not. Podcast has freedom from format - radio does not. Podcasting has the ability to time shift - radio does not. Speaking of opinion, this was mine. Keep up the good work. We have a Facebook page and two Twitter accounts as well as two web sites and a Sound Cloud account dedicated to the audio. Creating videos for the shows and on Wenoo at the moment until we get the new video sharing platform and streaming live video platforms built. You Tube hates smaller content creators. We get the least amount of listens on You Tube compared to Sound Cloud, Spreaker, Facebook and Twitter. Linda, No ideal length. Sounds like you have found your length. We started out at 30 minutes and our listeners said they wanted them shorter, so we have been roughly 20 minutes since except for specials which can go up to 40 minutes. Thank you for listening to the Live stream today!